University is a great time for personal growth as a learner and as a spiritual being. For many, attending university means moving away from home and entering a new and unfamiliar environment. You may be unsure how to meet people who share your faith if you are no longer going to the same church that you’ve gone to all your life. Or perhaps, like some, you may have found that you don’t believe in what you did while growing up, and feel confused, wanting guidance from someone in your newfound faith. Whatever your personal circumstances may be, feel assured that there are lots of great opportunities on campus to meet like-minded folks. 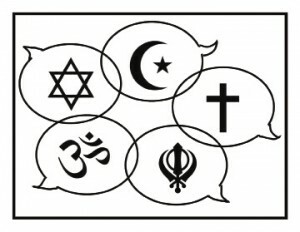 There are a variety of clubs on campus that are specified towards religious groups: Catholic Christian Outreach, Hillel (a Jewish group), Muslim Students Association (MSA), Muslim Students and Youth Alliance, Power to Change (a Christian group) and the Secular Humanists of MRU are all clubs that are running this year through the Students’ Association. Every Nation Campus Ministry (a Christian group) was set up at Clubs Days this semester. Joining one of these clubs, or even attending an event held by one of them, would be an opportunity to meet people who share your faith. The Latter-day Saints chaplaincy holds services every weekday afternoon in various locations, The Well is Wednesdays at noon in W201, Mindfulness Meditation is on Wednesdays at 10 a.m. in W201, Drum Circles are held on Thursdays at noon in Z307, Interfaith Dialogue on Mondays and Thursdays at 2 p.m. in F122, and Catholic Mass on Tuesdays, Thursdays and Fridays in W201. One of the most important principles emphasized in the meditation center (W201) is respect, so you don’t have to worry about discrimination there. Their office is held in F122, and has the schedules posted outside of the room. There are two Christian chaplains (one male and one female), a United/Presbyterian chaplain, a Muslim chaplain, a LDS chaplain and a Catholic Chaplain. The website also has “Friends of the Chaplaincy – Additional contacts for MRU community”, which includes a Jewish contact, Buddhist contact, Hindu contact, and MRU faculty/Christian contact. Maintain your current relationships and don’t be afraid to befriend people with entirely different views as you. Even if you don’t share the same beliefs don’t break ties with the people you care about. If they are mistreating you, there may be a misunderstanding or they may not understand your faith. This can be an opportunity for you to explain your views and tell them more about it, perhaps, even challenging some negative stereotypes associated with religions. Just as they can learn from you, you can learn from them. So if you start to feel alone try following some of these tips you can find someone to talk to.